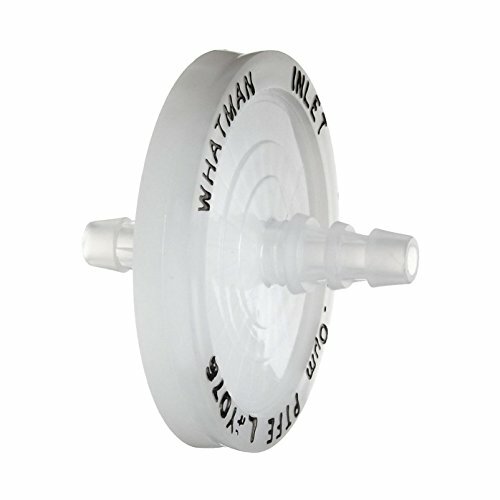 This Polydisc TF 50mm in-line filter device by Whatman has a pore size of 0.2µm. It features a PTFE membrane which is ideal for chemically aggressive solutions, reagents, and organic solvents. This lightweight unit is particularly suitable for protective vents and for in-line filtration and isolation applications. It is fully autoclavable for sterile applications and may be re-used multiple times. It is integrity testable via bubble point or water breakthrough pressure 'in situ' methods. It is biosafe and Lightweight at 11.5 grams; avoids the collapsing of tubing which can be caused by heavy filter devices. Pore Size: 0.2µm. 10/Pack. Whatman #: 6720-5002. View More In Inline Filters.